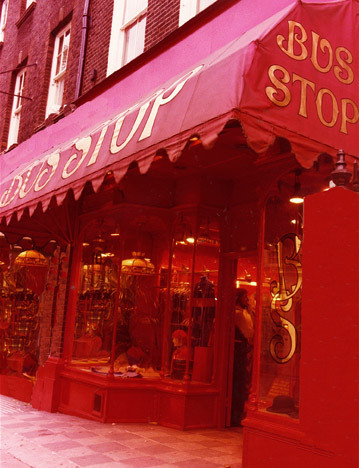 Bus Stop, a bright red beacon that lit up Kensington Church Street from 1969 to 1979, attracting the whole of London’s new clothes-loving public and shifting so much stock that it ran out of clothes the day it opened. Now you can buy high quality fine art prints of Lee’s original illustrations from that era and also from her line of current. Both Vintage Prints and Current Work are available along with the book Bus Stop. The Bus Stop book is available to buy at Amazon. You can also see some sample spreads in an animated book here.